A new study carried out by scientists at the University of Sydney, Australia, has shown that tooth decay (cavities) can be stopped in their tracks, reversed and prevented altogether, without the need for drilling teeth and filling dental caries with amalgam. The study, carried out during a seven-year period, found that the need for fillings can be reduced by up to 50 percent by taking a preventive approach to oral health. This is great news for children in particular, who can suffer from anxiety especially during the drilling procedure. The study’s lead author, Professor Wendell Evans of the University of Sydney, noted that in many cases where decay commences, fillings are actually not required. This indicates a major paradigm shift in the way dentists need to approach the issue of decay. A preventive approach ensures that not the tooth structure is maintained, and avoids complications resulting from drilling. Preventing teeth from developing holes/ cavities also proves to be cost-effective in the long run, removing the need for complicated procedures such as root canals and tooth implantation. Evans stated that if in the past, it was thought that cavities were a rapid progression condition which needed to be removed immediately to save teeth, it has been discovered that decay is not always progressive. Moreover, it can take much longer to the tooth surface to break into a cavity – as long as four or even eight years. This is more than enough time, says Evans, to detect and treat any signs of decay before it progresses into a cavity requiring filling. Evans’ groundbreaking method is called the Caries Management System (CMS). 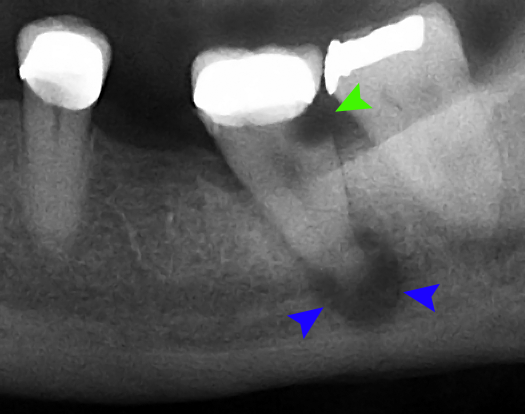 It comprises a series of steps which includes detecting the risk of decay, interpreting dental X-rays and treating signs of decay that has not yet become a cavity, in a specific way. Treating teeth with a highly concentrated fluoride varnish in areas where early signs of decay are present. Teaching patients how to brush their teeth properly. This is especially important if patients are children; parents should supervise their children during brushing, to ensure the child is spending enough time on each tooth and placing the brush at the right angle. Specific brushes have been found to be highly effective at removing plaque and some brushes come with Apps that help ensure children are spending enough time brushing their teeth and applying the right pressure. Adult versions of these brushes are also available. Restricting snacks between major meals and ensuring that sugar is kept to a minimum. It is stated that children and adults alike should brush and floss teeth at least twice daily, yet since many spend numerous hours outside the home, it is vital that they limit their snacking and sugar consumption, since sugar-rich foods are those which are most likely to cause decay. Added sugar and processed foods should be avoided and healthy snacks such as raw vegetables, consumed. Risk-specific monitoring: There are many factors that can increase a patient’s risk of having tooth decay. One is age – for instance, it has been found that the period of greatest risk for the development of cavities in permanent teeth is the first few years after the tooth eruption- i.e. during childhood. Other factors, (including diet, the prevalence of other illnesses, etc.) are also taken into account. The Caries Management System has produced excellent results, after being tested on high-risk patients in the hospital, and subsequently tested in general dental practices in the states of New South Wales and the Australian Capital Territory in Australia. Results of seven years of testing showed that drilling is not necessary until an actual hole has appeared in the tooth and that the need for fillings can be reduced by between 30 to 50 percent. Another of the system’s strong points is its preventive approach – many dentists treat patients without explaining the basics of tooth care, which can result in gum disease, tooth decay, and tooth loss. Children, in particular, should make good oral health an important part of their daily routine, to avoid the pain caused by decay and loss. This approach also helps a family keep dentistry costs to a minimum and avoids the need for complex surgery which can result from gum, tooth and bone disease. This is a Guest post provided by Helen Young.